Will the real John Locke please stand up...? Just a reminder that the final season of Lost premieres TONIGHT. With one of those Lost recaps episodes on at 8/7c to catch viewers up on what they may have missed, the new Lost season begins with a two-hour double episode "LA X, Parts 1 & 2". If you want a quick refresher on the Lost season 5 finale "The Incident", you can read my "Scoop my brain out with a spoon" thoughts from last year. You can also check out all of my Lost-related posts. Stay tuned to this TV News and Reviews blog for recaps, reviews, and probably a lot of confused ramblings about Lost season 6. The final season of Lost will air on ABC, Tuesday nights at 9/8c. 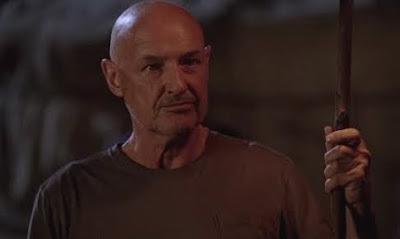 PHOTO: Terry O'Quinn as John Locke, 2009 ABC Studios. I don't get into lost... but great info, and nice blog. Evan Lysacek Takes Men's Figure Skating Gold!! Lost -- "LA X, Parts 1 & 2"